“I March for the under represented, the marginalized, the abused, the silent, the little girl inside me that remembers the bigotry and misogyny that I have endured. “I march because there are too many women whose voices have been silenced and because I want to use my voice for others who can’t use theirs. I march for ALL women. I march for Palestinian women and black women and Latina women and Muslim women and indigenous women and all other women. 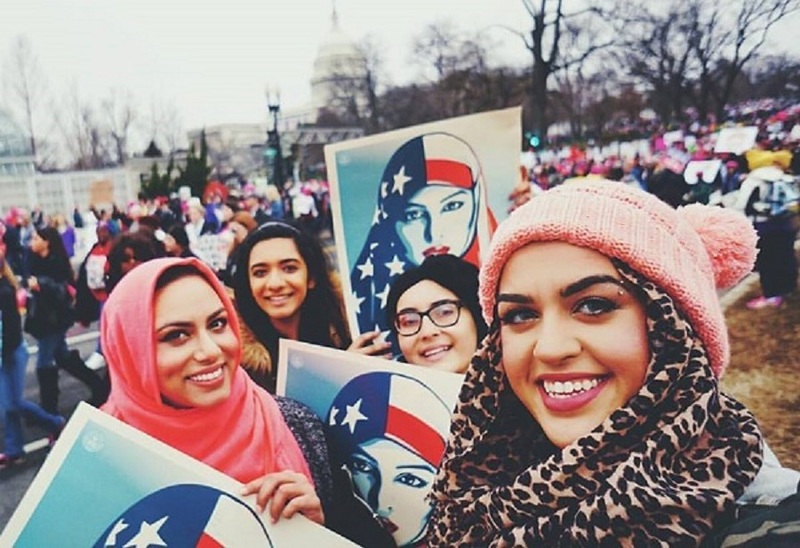 “Years from now, when our children and grandchildren learn about the women’s revolution of 2017/2018, when they learn about those fighting for equal rights, when they learn about the marches and the rallies of not just Martin Luther King Jr., Malcom X, Muhammad Ali, Rosa Parks and the like, but also the Women’s March, I want them to know that we were on the right side of history.